Sitters are all CPR certified. Kids have the opportunity to play and splash in the spray ground, fun and games in racquetball court, like corn hole and nerf ball and for the older kids play a bit of basketball. Always a good time for all! 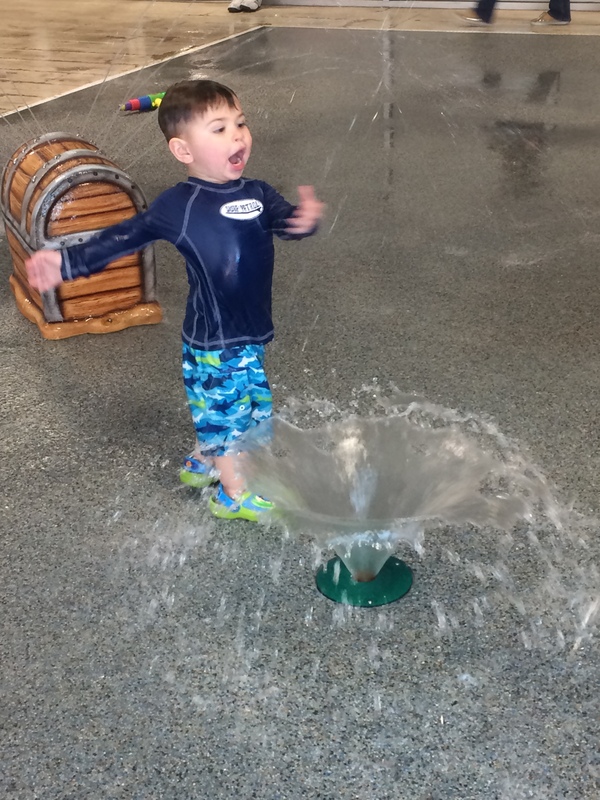 *Splash pad reopens for babysitting on March 1st. Schedule your next birthday in Ships Ahoy Sprayground! 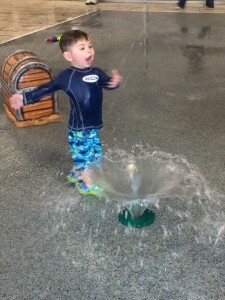 Ships Ahoy offers kids a fun place to splash and play all year round with out having to wait for summer to get wet! 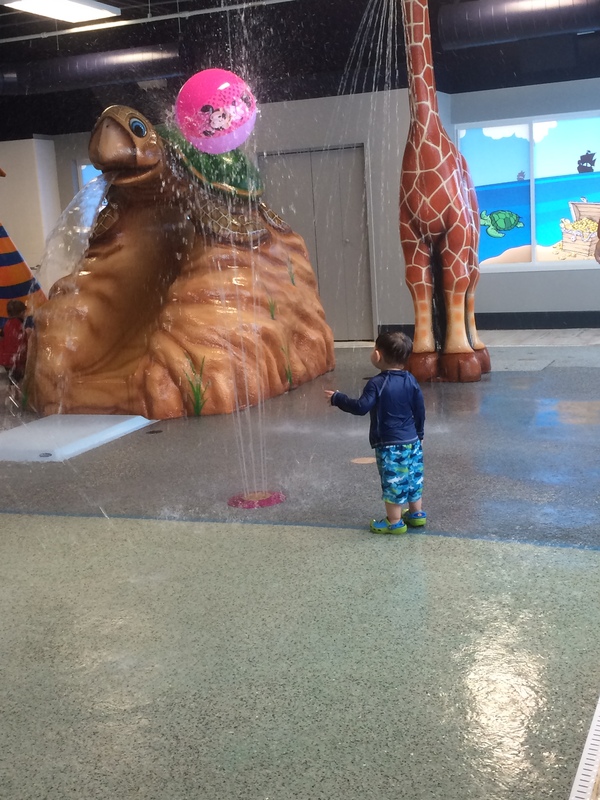 Our indoor water spray ground features animals that shoot water, small slide perfect for little ones, waterfalls and geysers that shoot up water. It is always warm in Ships Ahoy! 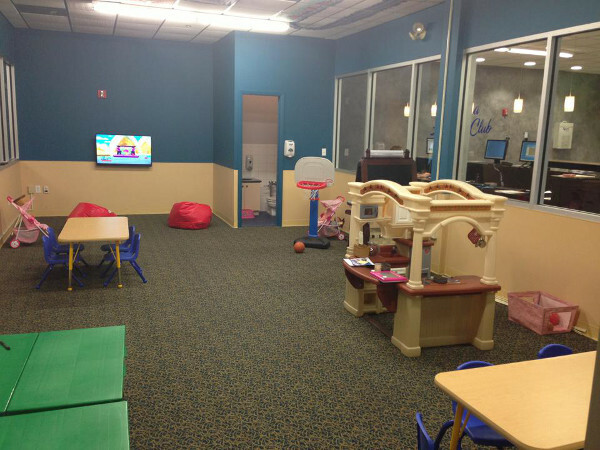 Parents are encouraged to bring flip flops if your little ones need assistance while playing. Please call the club if you would like to schedule and for any questions you may have. Each child must have a waiver completed by a parent or legal guardian. Babysitting, 7 days a week!